Wait — Christmas is next week? What?! If you, like us, are in a bit of denial about how fast this holiday season is going, don’t panic. Some of our featured authors from this year have agreed to share their shopping lists, and you may feel free to copy them shamelessly in your gift-giving. For easy shopping, just click the orange title of any book mentioned here. This year, the books I’m giving are The Summer Book by Tove Jansson, and The Book of Strange New Things by Michel Faber. Jansson is best known for the work she wrote for children — I grew up reading her enchanting and oddly dreamlike Moomin books — and I didn’t realize until quite recently that she also wrote absolutely exquisite short fiction and novellas for adults. 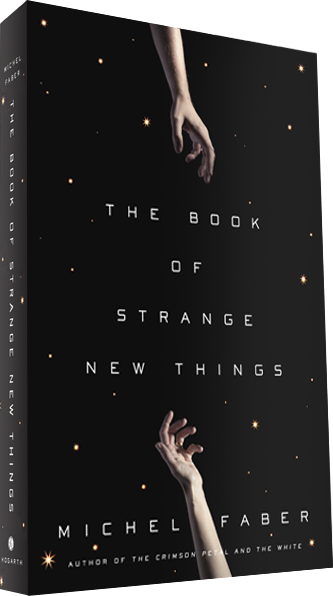 I think that Faber’s The Book of Strange New Things was one of the best novels published this year, and absolutely the perfect gift for readers who have an interest in sci-fi. I’ll give Food: A Love Story by Jim Gaffigan. We all know Jim enjoys a Hot Pocket, but his love affair with food runs so much deeper. The funniest book of the year. Yes Please by Amy Poehler. Amy is funny, brave, tough, and just cool. I’m a huge fan. And Good Talk, Dad — What better way to liquidate the large inventory of your own book that you bought online this year, than to give it away to friends, family, and complete strangers? I’m giving two books that are probably not on most readers’ radar: Soldier Girls by Helen Thorpe, and The Adventures and Misadventures of Maqroll by Alvaro Mutis. The first came out this year and is a compelling account of three women deployed in Afghanistan and Iraq with the Indiana National Guard. Stories of war and friendship aside, it is one of the best books about class in America ever written: the crushing struggle of the working poor — our majority — to put gas in the tank, food on the table, and keep a shred of hope for maybe college or a small business. Every day is a war. The Adventures is one of my favorite books, period. Mutis is a modern day Conrad, and his linked novellas about a wayward musing wanderer who cannot stay away from rivers and the sea are magnificent and beautiful. Happy Holidays! 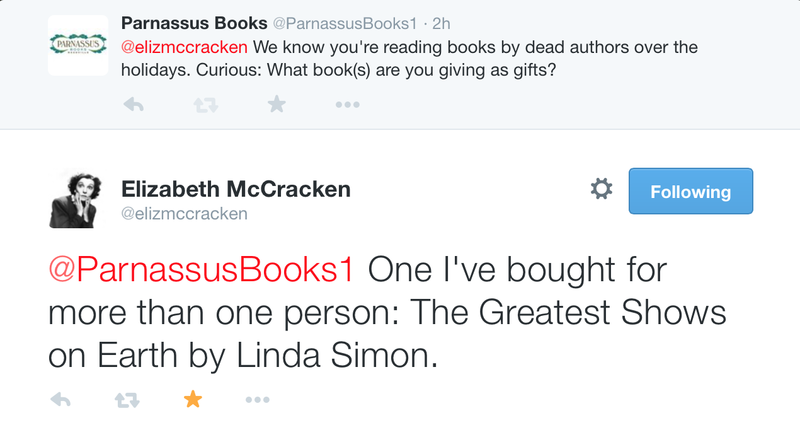 I adore giving books as gifts. (I’ll never forget the triumph of giving my sister, a lover of historical fiction about prostitutes, a copy of Crimson Petal and The White.) But since I haven’t yet given my loved ones their presents, I can’t and won’t divulge what I’ve got under my Christmas tree for fear that they will read this post and the surprise will be ruined. I will tell you this, though: If you’ve got an inquisitive and funny child between the ages of two and four, you can’t go wrong with Froodle by Antoinette Portis or The Three Robbers by Tomi Ungerer (the former being giggle-inducing and the latter being as complex and unresolved as any adult novel I’ve read). 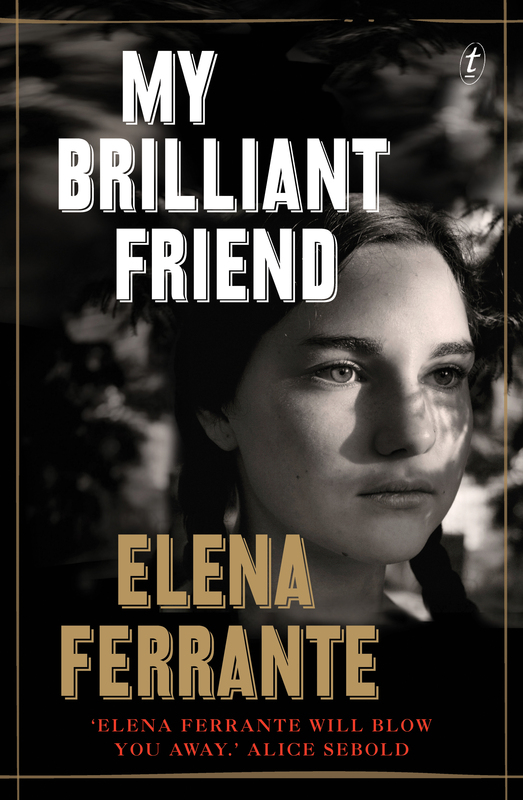 If you’ve got a glamorous friend with a sharp tongue, get her Elena Ferrante’s passionate novel, My Brilliant Friend, about two girls in 1950s Naples, Italy. If you’ve got a cantankerous grandpa who loves westerns, get him The Son by Philipp Meyer and tell him the author drank buffalo blood in the name of research. And, if you’ve got a spouse who doesn’t read… well, obviously, that’s grounds for divorce. Happy holidays! You know those readers who love sci-fi, fantasy and anything that feels like Tolkien? My husband is like that, but he’ll always tuck into a good literary title too. This year I am giving him Station Eleven by Emily St. John Mandel, an enthralling time bending novel that will speak to his inner trekkie. I’m giving Brown Girl Dreaming by Jacqueline Woodson to the school-age kids in my life. My plan is to write a special inscription in the front in hopes that they will keep it forever. It’s one of those special books with meaning that will shift and change with you as you grow. I’m giving Hannah Hart’s My Drunk Kitchen: A Guide to Eating, Drinking, and Going with Your Gut. Hannah’s a close friend, and I love her book. It’s a silly, sweet look at life through food and also a great way to show my family that my friends are cool people who are making neat things. Also: The Shadow of the Wind, The Angel’s Game, and The Prisoner of Heaven by Carlos Ruiz Zafon. I’m a huge fan of Zafon and love this trio of novels set in Barcelona in the 1950s. The books can be read in any order, as they share characters and stories, but are all so unique. The best book is one about which you think, “I wish I could go back and read that again for the first time.” Well, here are three of them. And second best to getting your wish, is giving your wish to someone else. So turn on a loved one to Zafon and watch as they are pulled into his magical stories. So far, I’ve bought one copy of Michel Faber’s The Book of Strange New Things, one copy of Marilynne Robinson’s Lila, one copy of The Slanted Door: Modern Vietnamese Food by Charles Phan, one copy of Lori Baker’s The Glass Ocean, and two copies of Gail Tsukiyama’s A Hundred Flowers. One copy of Shackleton’s Journey by William Grill. (Note: Shackleton’s Journey is currently on backorder.) And Moriarty by Anthony Horowitz, one copy. I worked the Saturday after Thanksgiving at my local bookstore as part of Sherman Alexie’s Indies First campaign and I see the real thinking here now. I bought many more books than I managed to handsell. But that’s all to the good! I’m always on the lookout for great narrative nonfiction and recently had an opportunity to read Deep Down Dark: The Untold Stories of 33 Men Buried in a Chilean Mine, and the Miracle That Set Them Free, a riveting new book by Héctor Tobar. It’s about the 2010 Chilean mine collapse that trapped 33 men for 69 days, 700 meters down inside a gold and copper mine. Enjoying unfettered access to his subject, Tobar conducted more than 300 hours of interviews with survivors to construct a masterpiece of nonfiction that reads like an epic folk tale. Because I’m a bit of a claustrophobe, some of these pages made for anxious reading. (Thanks to Tobar, I’m not sure I’ll ever go inside a cave — or even a dark closet — again.) But this is a suspenseful, poignant, and fully-realized work that’s destined to be a classic of survival literature. This holiday season, I’m giving multiple copies of In the Kingdom of Ice: The Grand and Terrible Polar Voyage of the USS Jeannette, by Hampton Sides. It tells the story of an ill-fated 19th century expedition led by a U.S. Navy officer in search of a route to the North Pole. Imagine Heart of Darkness in the Arctic, or Into Thin Air on a sea of ice, and you’ll get a sense of the emotions captured by this wonderful adventure tale and work of history. And as you may have heard on NPR, our own Ann Patchett agrees with Hampton Sides about Héctor Tobar’s Deep Down Dark. It’s her pick for the first NPR Morning Edition Book Club. First, The Opening Kickoff: The Tumultuous Birth of a Football Nation by Dave Revsine. If you are into sports and history like I am, how can you not love a book inspired by a 62-yard drop kick in 1898? Next, I Am Rosa Parks, if a young kid is on your shopping list. The Ordinary People Change the World series by Brad Meltzer has become our family’s favorite. 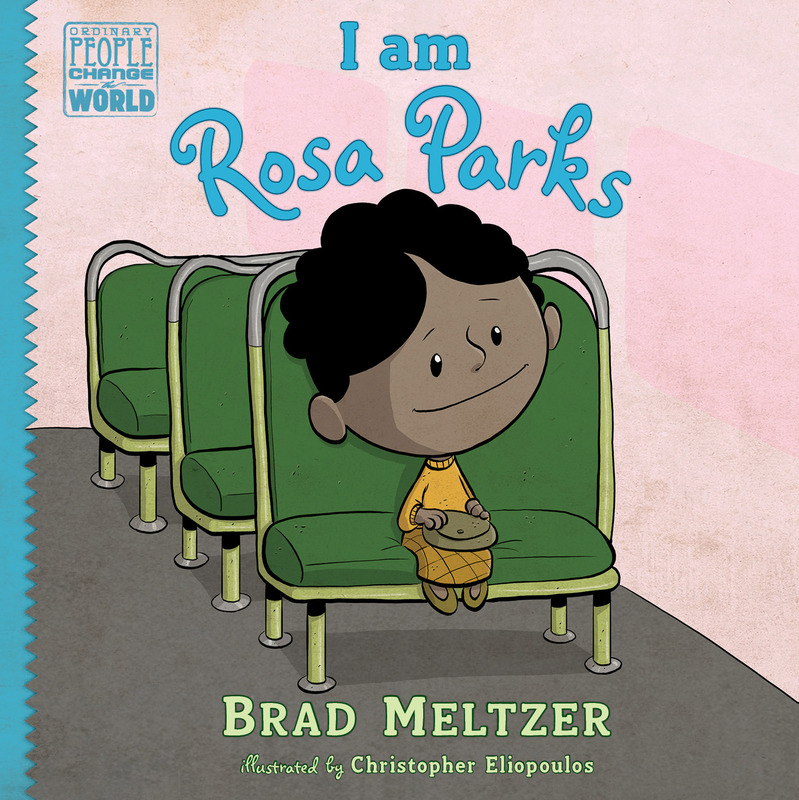 Great stories and artwork about inspirational figures presented in a fun way our kids love. I’m giving How To Slowly Kill Yourself and Others In America: Essays by Kiese Laymon. Jovan Haye, author of Bigger Than Me: How a Boy Conquered Dyslexia to Play in the NFL, says he’ll be giving copies of his own book, because in his dyslexia outreach he meets kids all the time who need to hear an inspiring story. Us by David Nicholls is for my male friends and family members who claim they “don’t read novels other than Matthew Quick’s.” Nicholls has a way of keying into a man’s heart and freeing pent-up emotions. The British humor is a plus too. Amanda Palmer’s The Art of Asking for my writer mentee. Palmer underscores the need for artists to self-anoint and then work like hell to be fully seen. It’s a message young creative types can never hear often enough. One certainty is Anthony Marra’s A Constellation of Vital Phenomena. Also: Mitchell Jackson’s The Residue Years and We Need New Names by NoViolet Bulawayo. For younger kids who love space and cars and drawings: Lowriders in Space, written by Cathy Camper, illustrated by Raul the Third. Because it is a crazy bi-lingual tale beautifully drawn. Like nothing else. For middle grade kids of all interests: The whole set of The Guys Read Library of Great Reading. Because there is something for everyone in here. 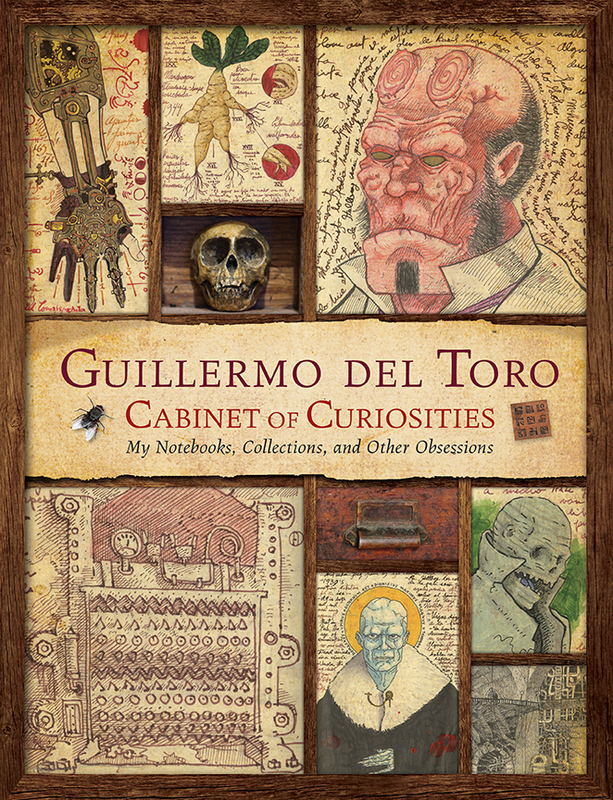 Now 5 volumes, 50 original stories, by all-time greats like Jack Gantos, Jackie Woodson, Rick Riordan, Kate DiCamillo, Walter Dean Myers, Jim Murphy, and more more more. For YA readers: The Unfinished Life of Addison Stone by Adele Griffin. A smart experiment in storytelling – drawings, paintings, photos and multiple voices tell the story of a young tortured painter in this fictional biography. Elizabeth McCracken, author of Thunderstruck & Other Stories, announced her intention to go back and read some classics over her holiday break. When it comes to giving books to others, her choice is The Greatest Shows on Earth. I’m giving Yes Please by Amy Poehler to my daughter because she loved Mindy Kaling’s book and Tina Fey’s book and I feel like this one is right up her alley. And for my husband I am getting Russell Shorto’s Amsterdam: A History of the World’s Most Liberal City. We will be traveling there this spring, and he previously enjoyed Shorto’s book on Manhattan. I’m gifting two books with abandon this season — The Paying Guests and The Little Stranger, both by Sarah Waters. The Little Stranger is about a haunted house, and it’s terrifying — perfect for late nights by the fire, a glass of mulled wine and a plate of holiday cookies at your side (though you’ll be too scared to eat!). The Paying Guests is so absorbing I read it in a day. It’s set in 1920s London, and Waters makes you feel like you’re there. It’s a murder mystery AND a love story. What more could you want? 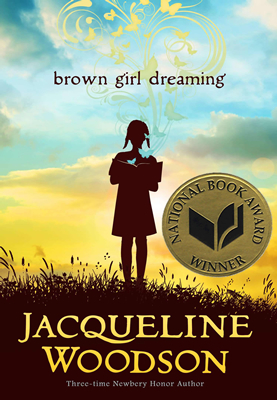 Brown Girl Dreaming by Jackie Woodson because everyone has dreams of what they want to do and be. Not just for brown girls. Not just for girls. Not just for kids. For everyone. For adults: All the Light We Cannot See by Anthony Doerr. Powerfully mesmerizing. Terribly beautiful. The language is like a dawn over the sea — incandescent. War through the eyes of the people who live and die because of it. For teens and up: The Age of Miracles by Karen Thompson Walker. What if the earth slowed down just a bit? What would happen to the tides, to the seasons, to life? A futuristic, thought-provoking novel. For little ones on the lap — and it is SO important to keep them on your lap and read stories over and over and over — Brown Bear, Brown Bear, What Do You See? by Eric Carle, and Green Eggs and Ham by Dr. Seuss, just because. Many thanks to these authors for sharing their gift ideas! 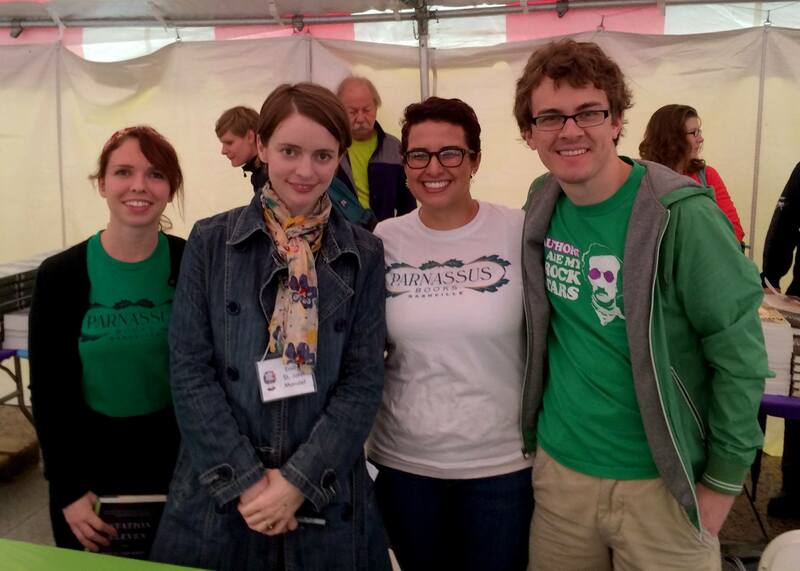 And remember, you can always give a pre-paid subscription to one of our Signed First Editions Clubs and let the Parnassus staff do all the book-picking.